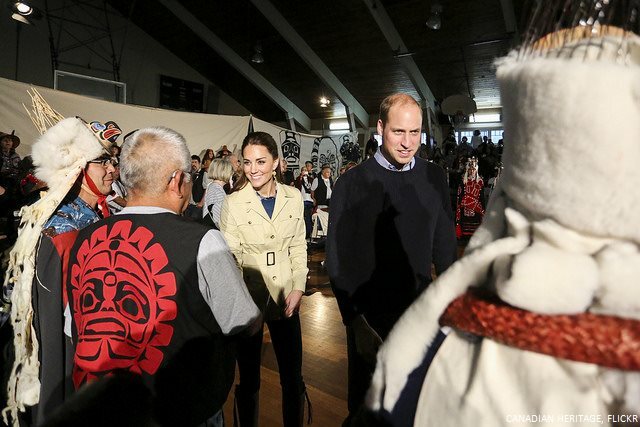 On the third day of the 2016 Canada Tour, William and Kate took part in a historic reconciliation ceremony with Canadian First Nations groups before attending a reception with political and civic leaders from across British Columbia. 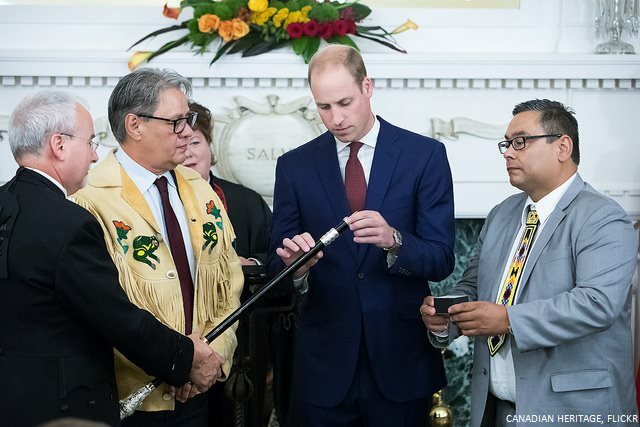 First, William took part in a historic reconciliation ceremony to help heal the divide between the indigenous First Nations communities, government and crown. 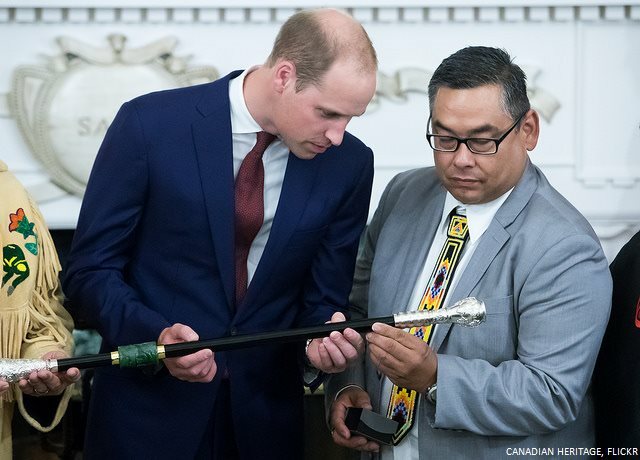 In the Government House drawing room, William added a symbolic ring to the Black Rod, the ceremonial staff of British Columbia’s Legislature, modelled on the one used in Parliament in London. The Rod was created to celebrate the Queen’s Jubilee in 2012. 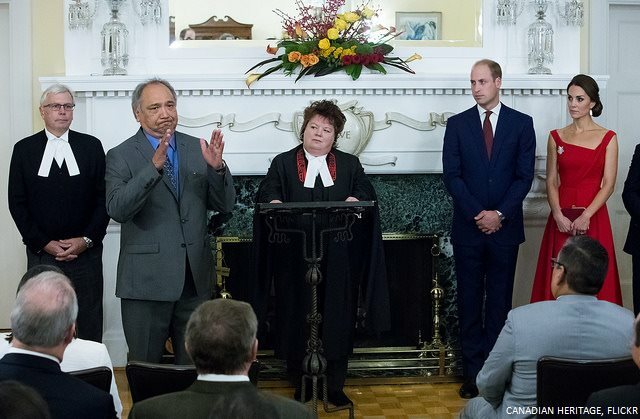 Originally, the Black Rod had three silver rings on it, each symbolising the government of B.C., the government of Canada and Westminster. 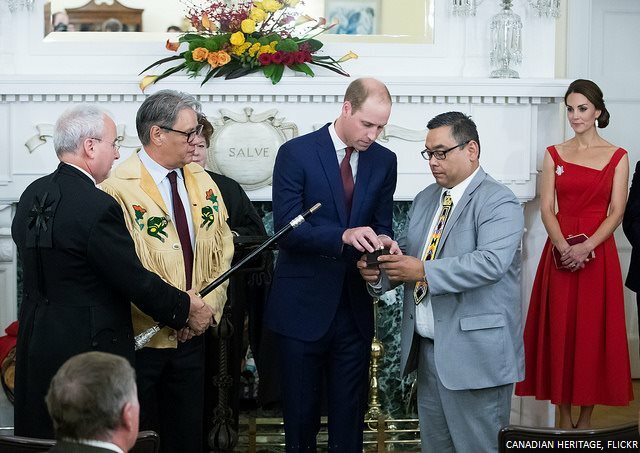 During the ceremony, William added a fourth ring to represent the First Nations communities. Not all First Nations leaders appreciated the gesture. Once refused to attend the ceremony, calling it a “public charade”. 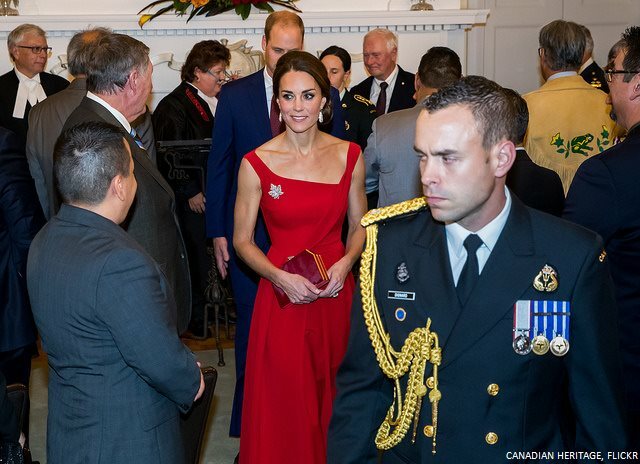 After, the couple attended a reception hosted in the ballroom of Government House. Over 200 political and civic leaders from across British Columbia attended too. 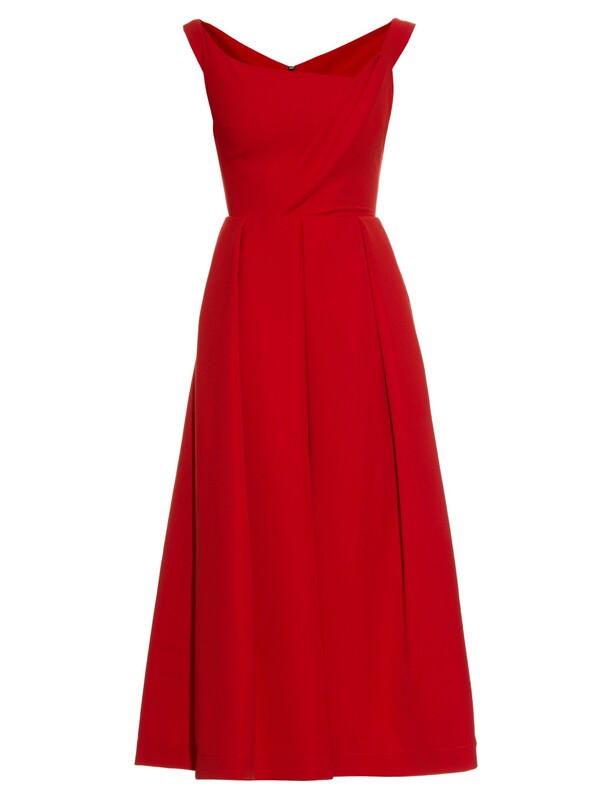 For evening’s events, Kate chose a red midi dress from Preen by Thornton Bregazzi. 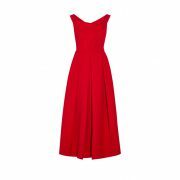 It’s the company’s Finella pleated dress. 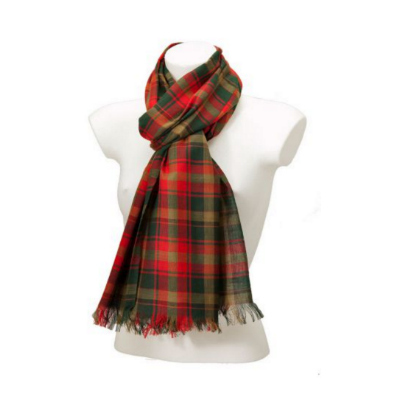 It’s made from a stretch-crepe fabric. 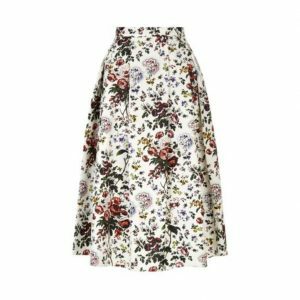 The company, set up by husband and wife team Justin Thornton and Thea Bregazzi, are British and based in London. 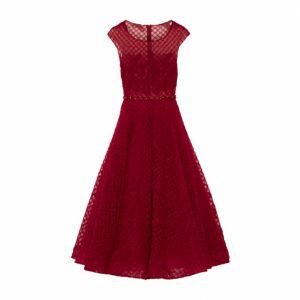 Net-A-Porter stocked the dress. They called it an “elegant choice for your next event”. 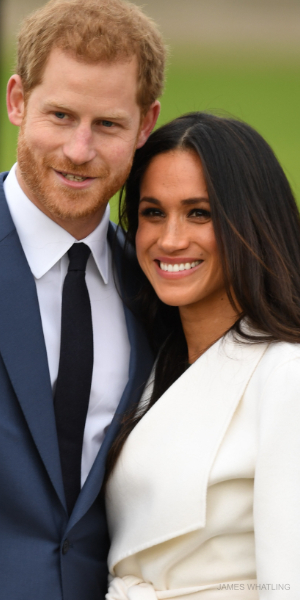 They also describe the dress has having “a shoulder-framing neckline”, and “a fitted, draped bodice that falls to a voluminous box-pleated skirt”. 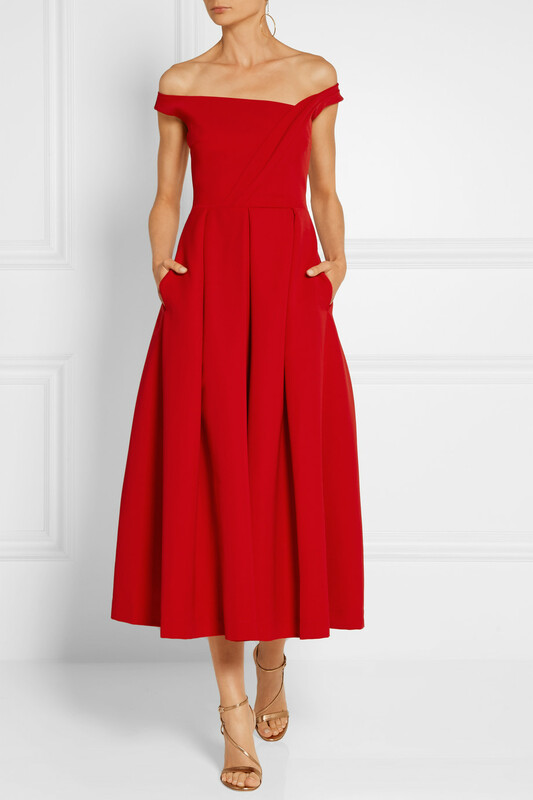 The dress retailed for £995 and $1,715 USD on their website. 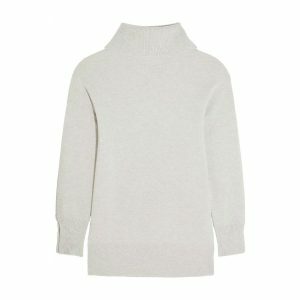 The red version has sold out everywhere, except for Brown Thomas. Sadly, the company only delivers to addresses in Northern Ireland and the Republic of Ireland. The dress costs €1390 EUR on their website. 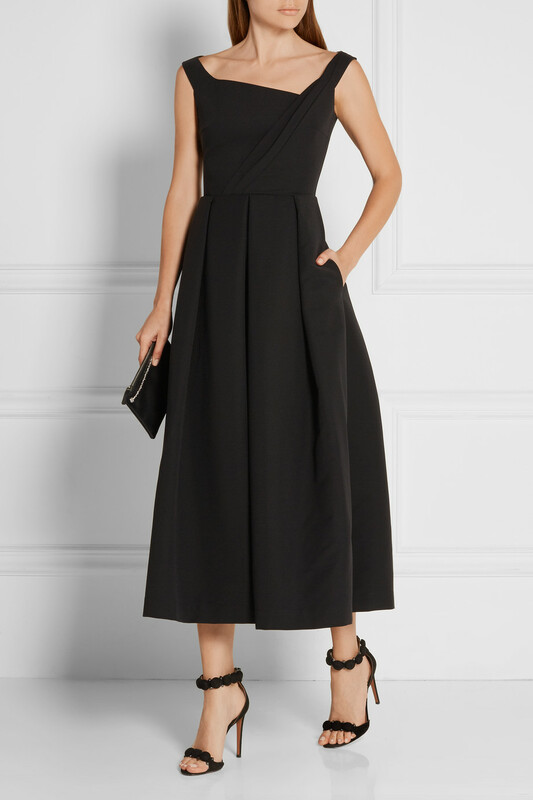 However, the black version of the Finella dress remains in stock at Net-A-Porter.com. The company ships internationally. 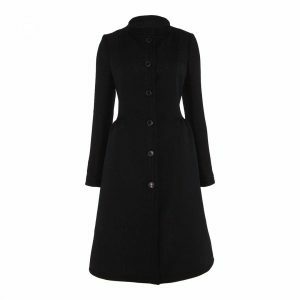 You can also buy it from Avenue31.com and Boutique1.com. 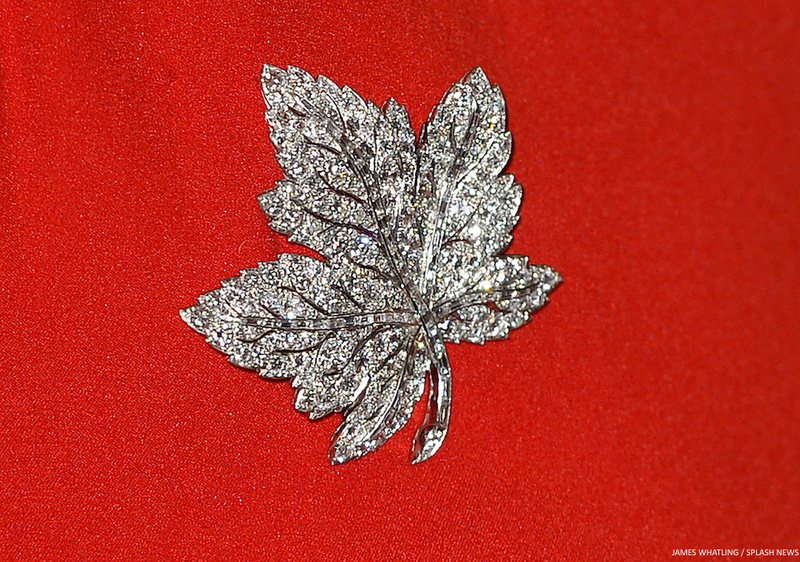 Kate added the diamond maple leaf brooch to her dress. This is loaned from the Queen. 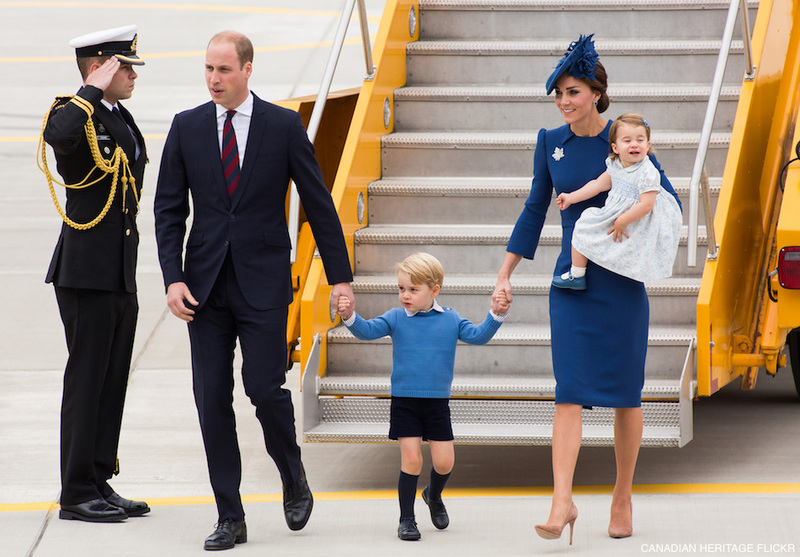 The brooch previously belonged to the late Queen Mother. Her husband, King George VI gave her the piece to mark the state visit to Canada in 1939. 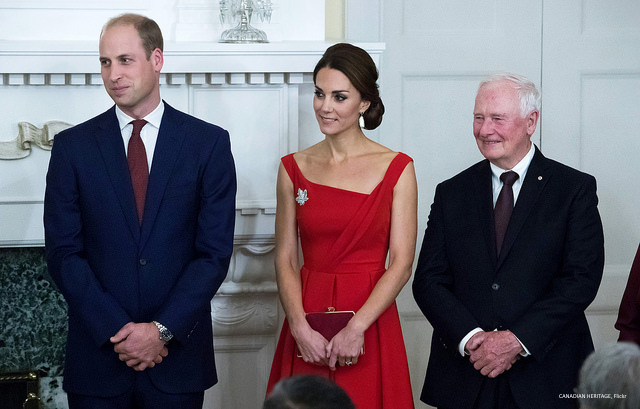 Kate wore her red Gianvito Rossi pumps. Thought to be the Gianvito 105 style. You may notice these are the same as the beige pumps from day one of the tour? 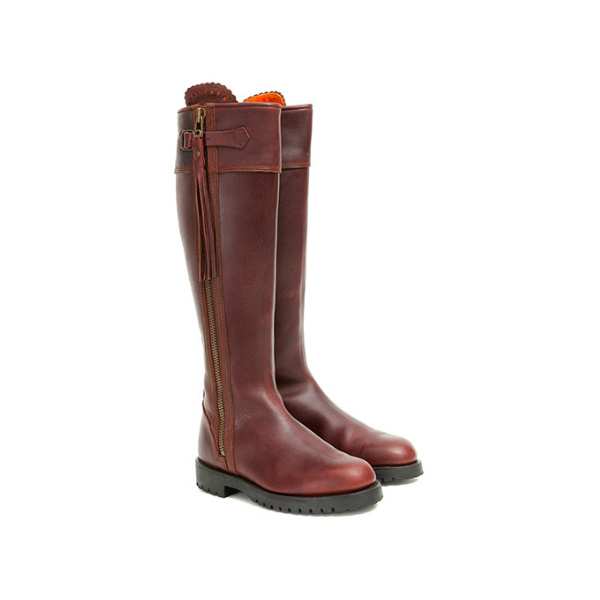 Kate owns them in four different colours! 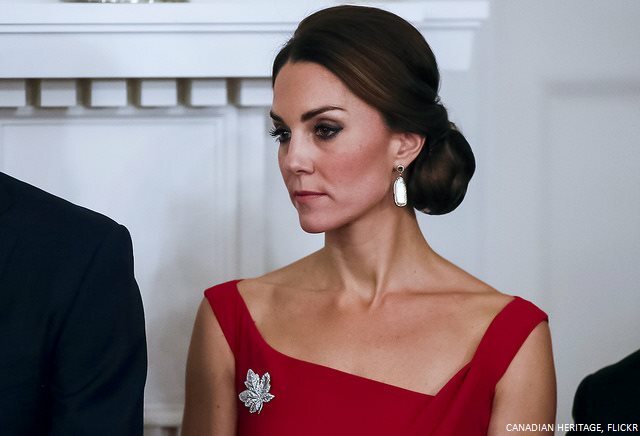 Kate finished the outfit with a bag by Jenny Packham. It’s the Casa bag, an angular shaped solid bag made with red coloured pony hair. Kate’s Closet found the blue version of the bag (above) on Laprendo.com. 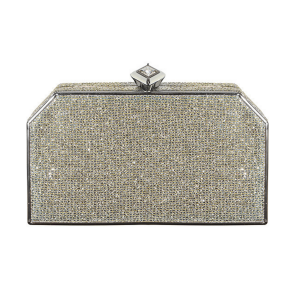 The company describes the piece as an evening frame box clutch with a crystal encrusted clasp. 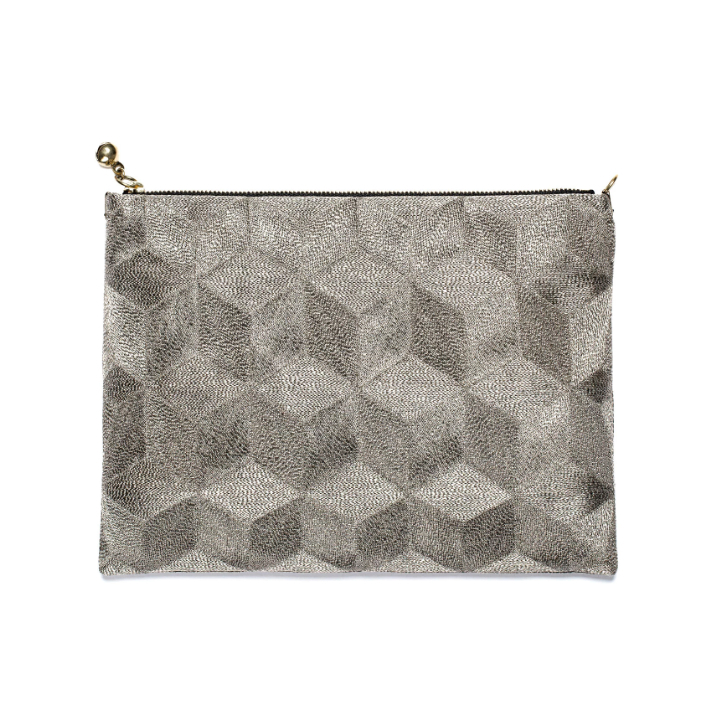 The bag is made with silk cotton lining, features a small insist pocket and a matching mirror. It did cost $1,010 SGP, which is roughly £1,300 GBP / $1,700 USD. You may remember Kate carrying a similar bag, also by Jenny Packham, to the James Bond Spectre premiere in October 2015. 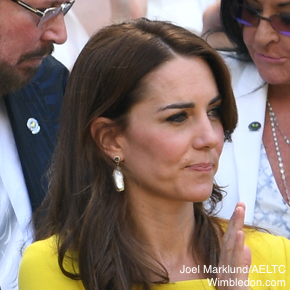 Kate wore her Soru Jewellery baroque pearl earrings with the dress. She first wore them (publicly) to Wimbledon, earlier in the year. 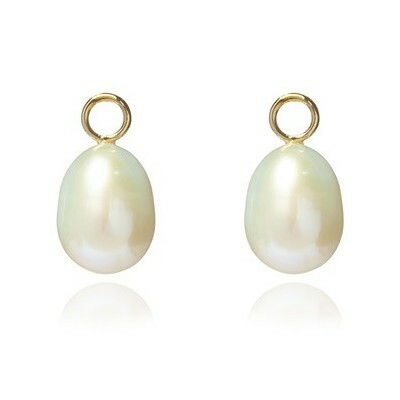 The earrings are made from 18ct gold vermeil on sterling silver. 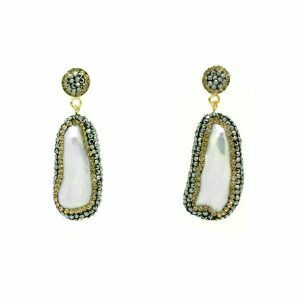 They feature iridescent baroque pearls edged with multi faceted Swarovski crystals. They cost £130 (approximately $170 USD). I want that dress!!!!!!! but its sold out!!!! waaaaaaahhhhh!!!!! LOL so stunning!!!! !